The No. 1 Brainwave App in 32 Countries! Top quality Isochronic Tones and Binaural Beats combined with relaxing ambient music and soothing nature sounds. Including 90 programs for Relax, Sleep, Meditate, Anxiety, Stress Relief, Positive Mind, Confidence, Focus, Memory, Healing, Brain Function, and much more! 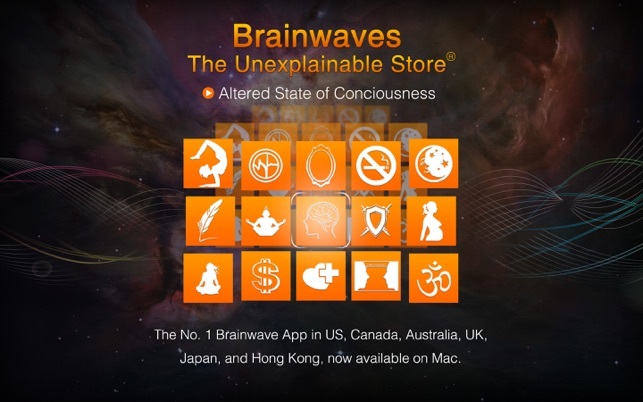 As world-renowned brainwave specialist, The Unexplainable Store® has been providing brainwave entrainment since the year 2000. All the brainwaves are meticulously created with the latest brainwave entrainment technology. And all the Isochronic Tones are 320 Bitrate! And a lot more is waiting for you to explore. 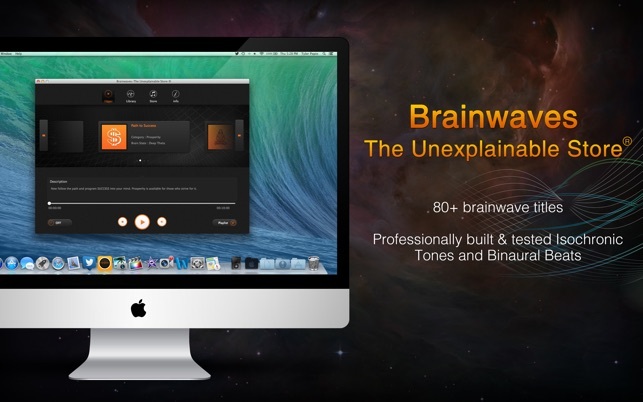 Download now and experience the benefits of Brainwaves. Every person's brain works differently, but on the same basic principles. Some minds are more open to suggestion, while others refuse to let go. As each recording is specifically designed for a certain purpose, effects on individuals differ. Just be aware that your mind wants what you want. It takes some time to really feel effects, so don’t give up if you fail to reach where you would like to be after the first try. Also, headphone is highly recommended. The app is great for the most part, I am especially impressed by the headache remedy, although I wish it would kick in faster. You need more selection in terms of music, though. Each track comes with its own music, but because people have different personalities, the music is a variable factor in user experience. I have found, at times, that some of the music can be annoying or inappropriate for the purpose of a particular track. I would like to suggest listening to some of the works of Steve Roach as I feel that his style works very well with what you’re doing. Again I would like to see additional options for the music as an added feature to your app. Good job overall, though.